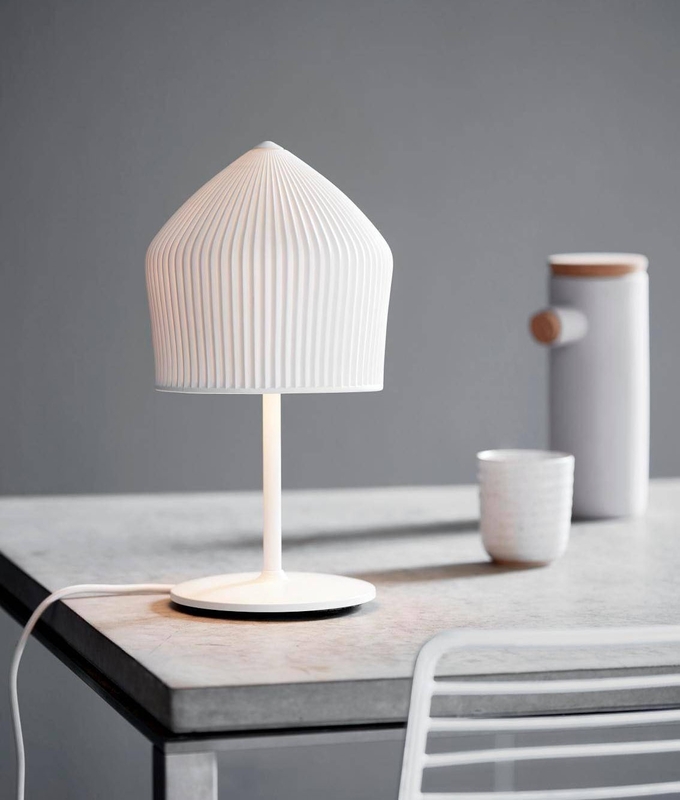 This unique table lamp creates a soft light when lit with the translucent nature of the porcelain. 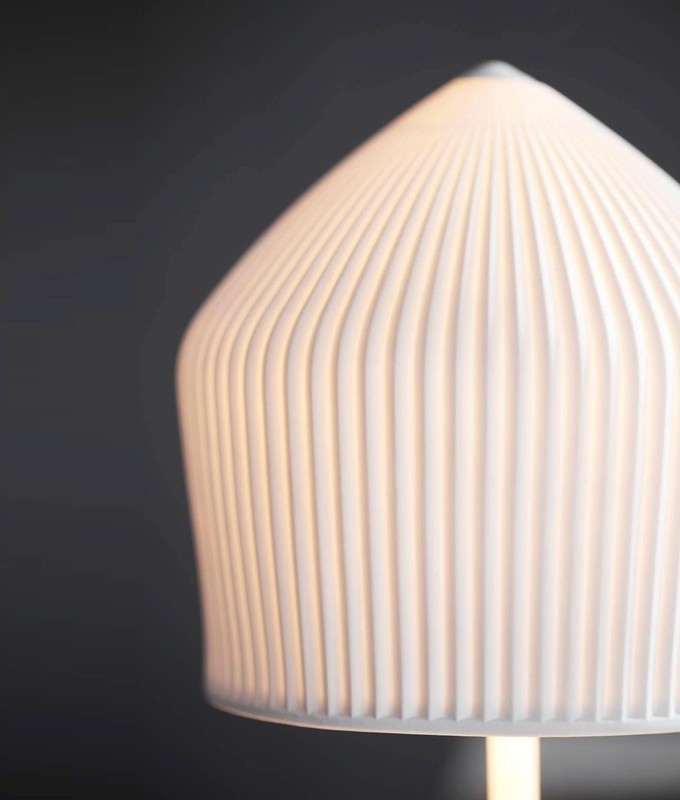 With ribbed detailing, accentuated when lit this is a great light that looks great on or off. Complete with a 2500mm textile cable with switch, giving you plenty of options on where to place this fitting in your lounge or bedroom. Designed for E14 base mains lamps up to 40 watts. 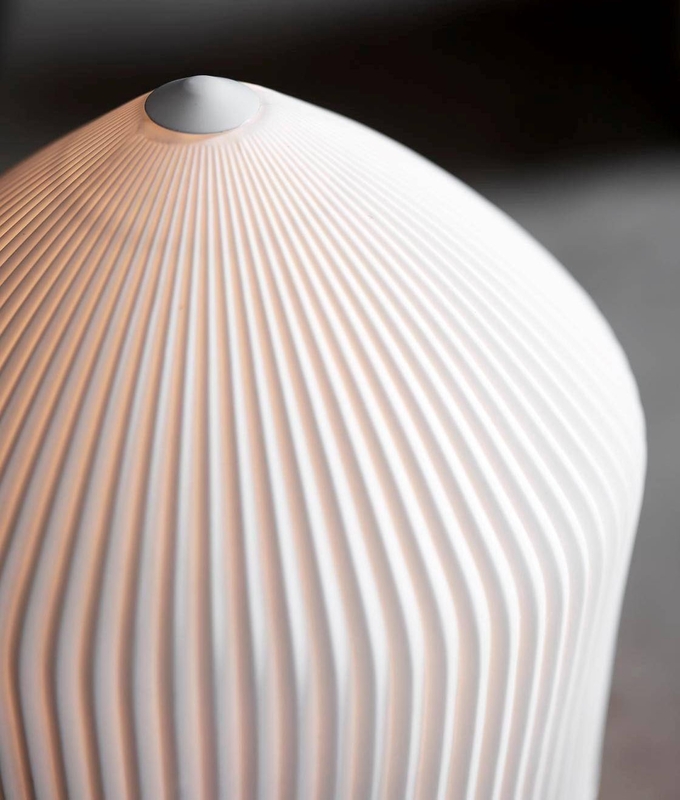 Matching pendants are also available, allowing you to create seamless décor throughout your rooms. These can be seen here.